Athol Fugard's daring drama is set in an unnamed prison based on the one where Nelson Mandela was held. John and Winston are cellmates who spend their days doing back-breaking labor, and their nights rehearsing Sophocles' Antigone to present to their fellow inmates. When John learns his sentence is being reduced, the men's friendship is tested. Fugard plays the parallels between Antigone's fight against political and patriarchal boundaries off of the imprisoned men's fight for their dignity. The Island is a testament to the resiliency of the human heart. "...One certainly believes in both of these fine actors. (One section, where John communicates his newly reduced sentence, is very moving.) And there's no question that Bohnen's production is a careful and honorable approach to this text. The work is detailed, honest and credible. The parallels between the classical text and the prisoners' situations are richly drawn. The poetry is eloquent, the pacing careful, the images poignant, the metaphors resonant. A couple of questions dangle, though. Why do these two men need to do this play? And when does painful futility turn into creative transcendence?" "...Banks, an actor of enormous range and subtle emotional shifts (I wish someone would create a one-man show for him in which he could play writer James Baldwin), is the more intellectual of the two prisoners, with a genuine sense of theater's power. Bolden (in a total about-face from his broadly comic turn as the champion wrestler in "The Elaborate Entrance of Chad Deity") moves from boor to heartbroken "brother" as he bares his rage, as well as his heart. And together, the two men forge a bond not easily forgotten." "...Athol Fugard's 1972 drama, about two black cellmates at South Africa's notorious Robben Island prison, gets a muted but skillful staging from James Bohnen for Remy Bumppo. An overlong pantomime depicting the pair at their Sisyphean daily tasks almost derails the energy at the start, and there are one or two points in the script that come dangerously close to preachifying." "...what was incendiary to partisan rebels struggling for independence in Cape Town amid the unrest of 1972 cannot hope to achieve the same level of blood-stirring urgency before a crowd of comfortably-distanced Americans in 2010, even granting the exquisite performances ( and razor-keen dialects ) of LaShawn Banks and Kamal Angelo Bolden. Our hindsight awareness, compounded by James Bohnen's Pinteresque direction, is inevitable. But we still listen, notwithstanding. Oh, yes�to every word, we listen." "...It's rough stuff, more to be admired than loved, and not without flaws; it's never completely clear what makes Winston flip back and forth between consenting to play Antigone and refusing. And the good news for South Africa � the end of Apartheid � is not necessarily good for the play. Instead of a pressing social statement, it's a period piece, which unavoidably saps some of the play's energy." "...This 1972 work, developed with the black actors Kani and Ntshona, depicts a pair of convicts on South Africa�s notorious Robben Island, the prison that held Mandela for 18 years. We are introduced to cellmates John (Banks) and Winston (Bolden) in a masterful, drawn-out mime sequence: Each repeatedly shovels sand into a wheelbarrow, then fills up the hole the other has made." "...The staging and the skill of actors keeps the show engaging as the tension builds as we learn the basic goodness of these two men. 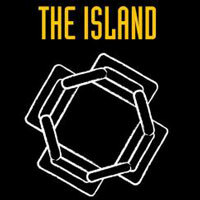 The climatic last scene of The Island is a testament to the resiliency of human heart. Banks and Bolder are terrific. This is an important theatrical work worthy of an audience." "...I am a big fan of shows that prod your mind, which is why this show is directed for certain kinds of audiences. I recommend that people give Fugard a chance and this is a perfect time to do so."